When the holiday season rolls around, I am constantly trying to come up with new and improved gift ideas for those I love. I enjoy buying store bought items that they wouldn’t typically purchase for themselves, but I also REALLY love to give special, sentimental gifts that come directly from the heart. To me, those are the most meaningful and will last much longer than the beautiful sweater or the awesome pocket knife. This gift that I want to share with you today is one of those gifts that will truly make any family member or friend smile and feel completely loved and appreciated. Who doesn’t need to feel that way?? You see, without a doubt, we all go through times in our lives when we feel down. We feel like the world is coming down around us. We feel stressed. We feel unappreciated. We feel like we are not valued. This world can get us down. Sure, we know we are loved, but it is easy to get caught up in our emotions and forget that. This gift that I want to share with you today is one that can be made in various ways, but the thought is the same. 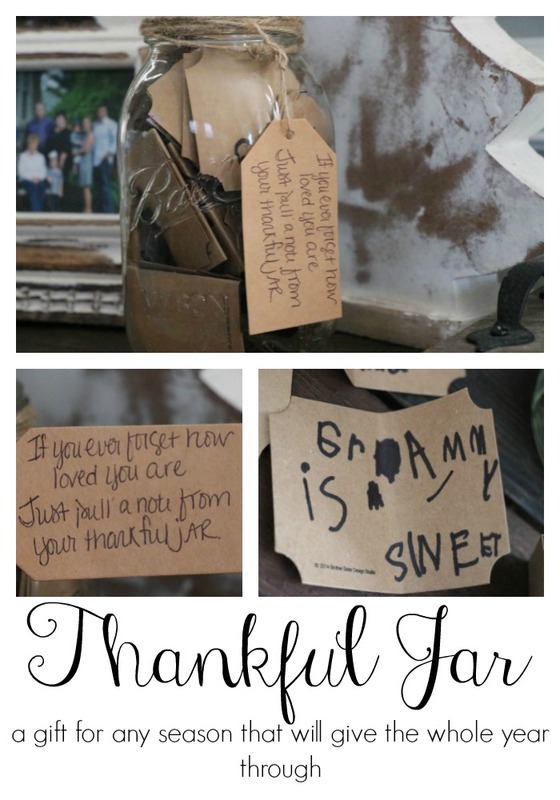 I have named it a “Thankful Jar”. 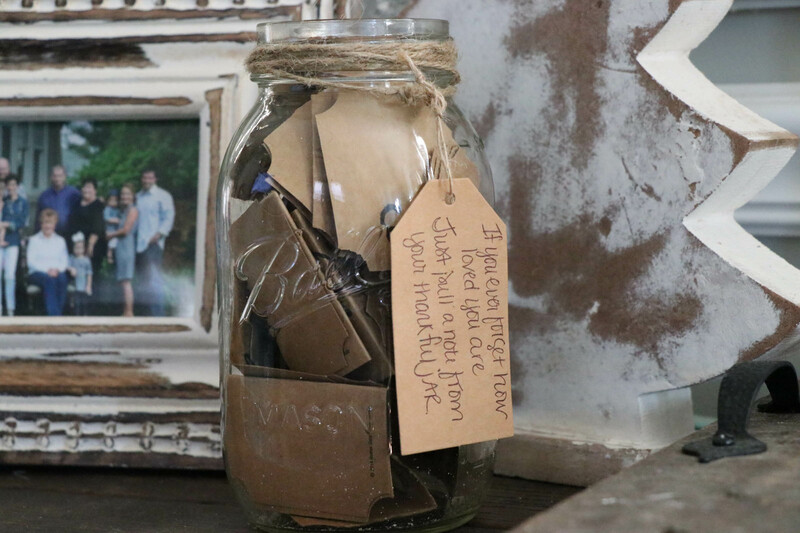 It is a mason jar is one that has been filled with little notes to your loved one, expressing your love and appreciation for them…the things about them that you are thankful for! I recently did one for my mother in law and my parents. I am sharing the one for my mother in law today. She is a very special lady that means a lot to my family. She is always willing to go out of her way for us, and she has a servants heart. 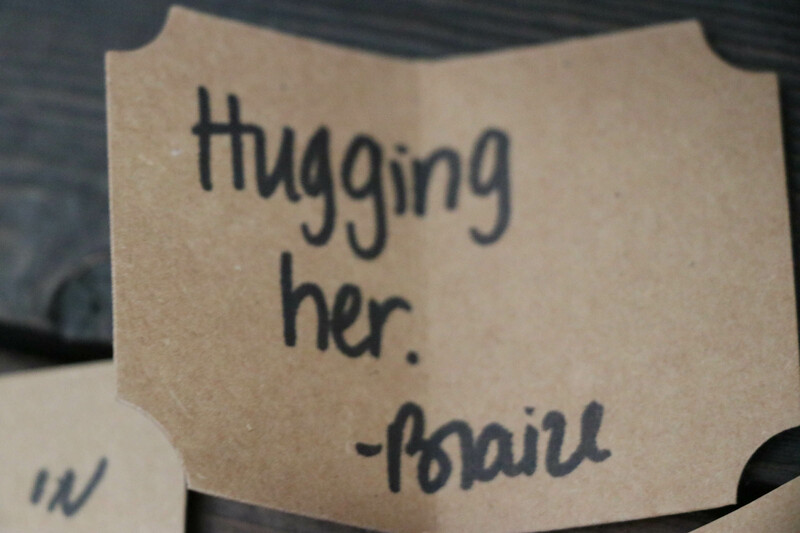 I wanted her to know how much we love and appreciate her by telling her just a few of the many reasons why. 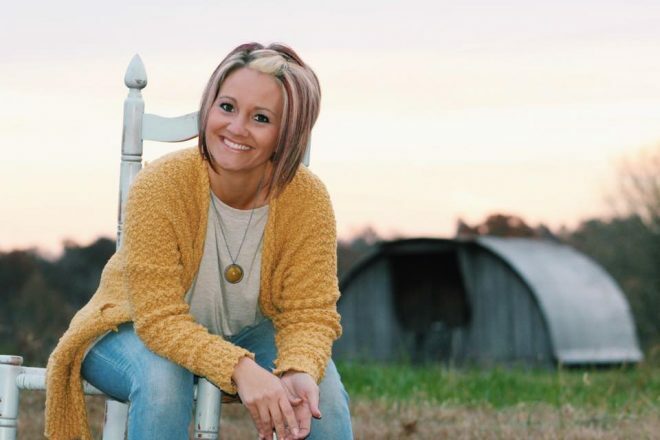 I have a husband (her son-duh!) 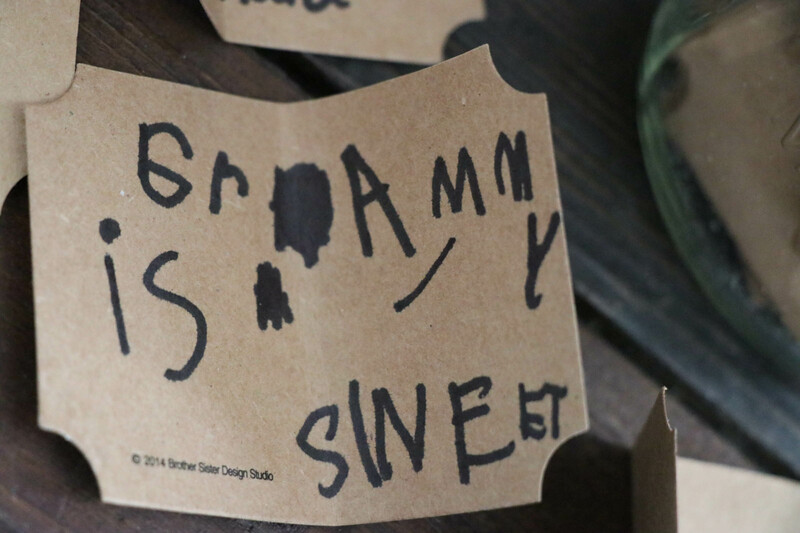 and 2 children (ages 3 and 5)…and we all got together and thought of things we loved and appreciated about “Grammy”. My husband and I wrote several different cards for her, signing our name on the ones from us and my daughter wrote a couple of her own, along with me writing what she told me on others. My son can’t write yet, so I had him tell me things he loved about her, and I wrote them down. The answers of the kids were priceless and SO heartfelt. I got emotional through the whole process (no surprise if you know me at all). 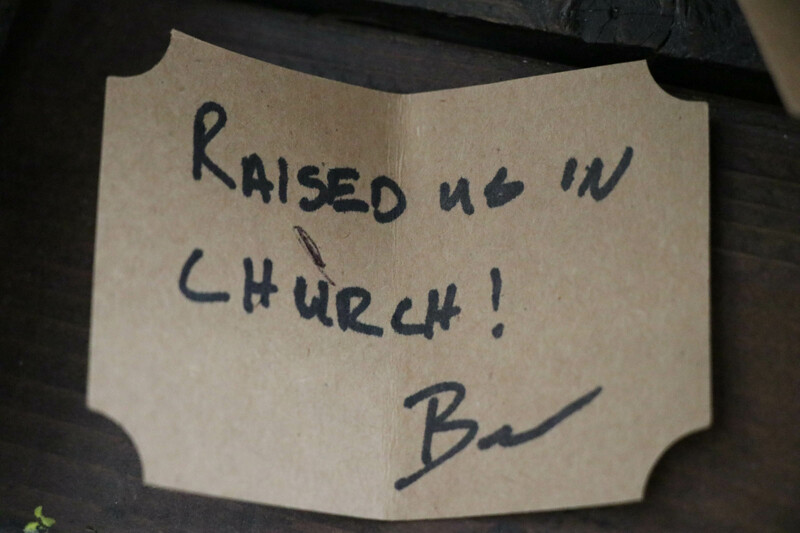 I thought it was very special that we all did this as a family and all told her how we felt from our own perspective. 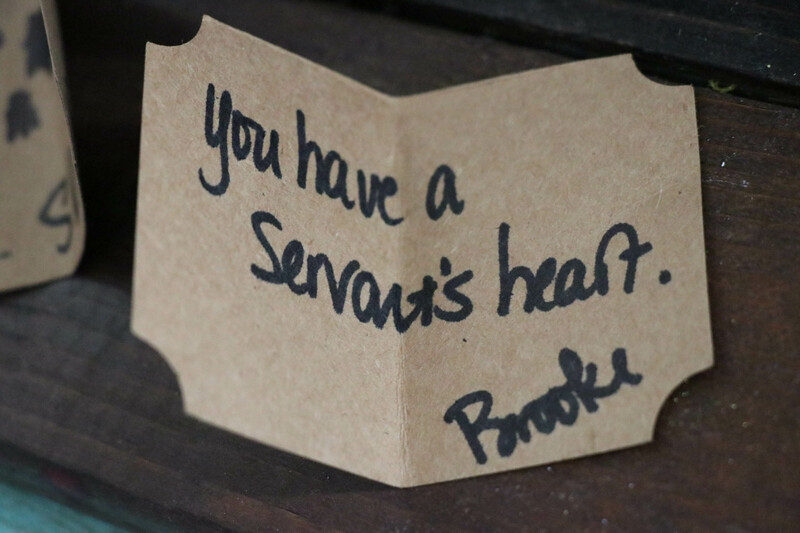 To have us hand write our thankfulness on these cards were something she will cherish the rest of her life. She cried when we gave them to her (no surprise if you know her either! We have that in common! ), and she LOVED them. This was not going to be a blog post, originally…but I really felt like it was a great gift and one that could be done for anyone in your life. Here are some pictures of the jar. I will go through some of the details of how I did it in the end (although I really doubt I need to because you can see by looking!). Here are 4 of her actual cards in her jar, one from each of us. 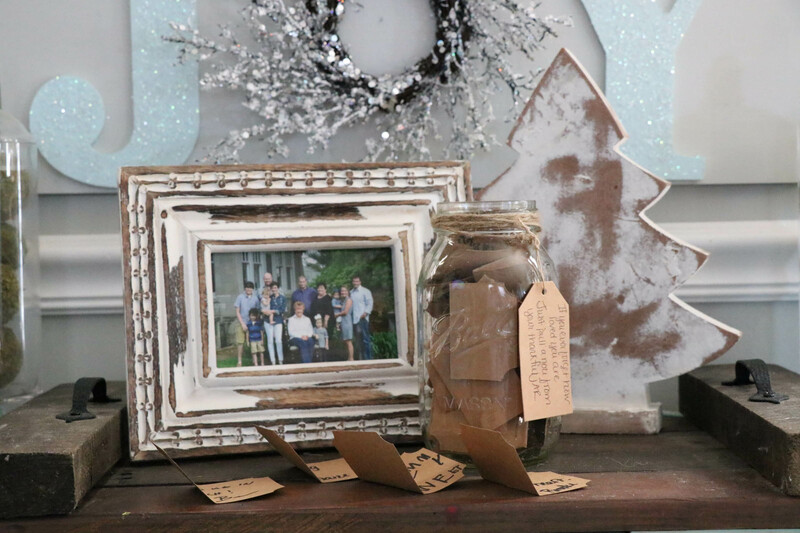 After we wrote out all of our cards on those little pre-cut pieces of cardstock, I folded them in half and put them all into the jar, filling it to the top! I took twine and wrapped it around the top of the jar, just for a little extra touch. I then took a small piece of twine and a hold punch and attached the twine to the wrapped twine for my tag. I wasn’t sure what to put on the tag at first, but I came up with this little poem. You can write whatever you would like! That is all, folks. 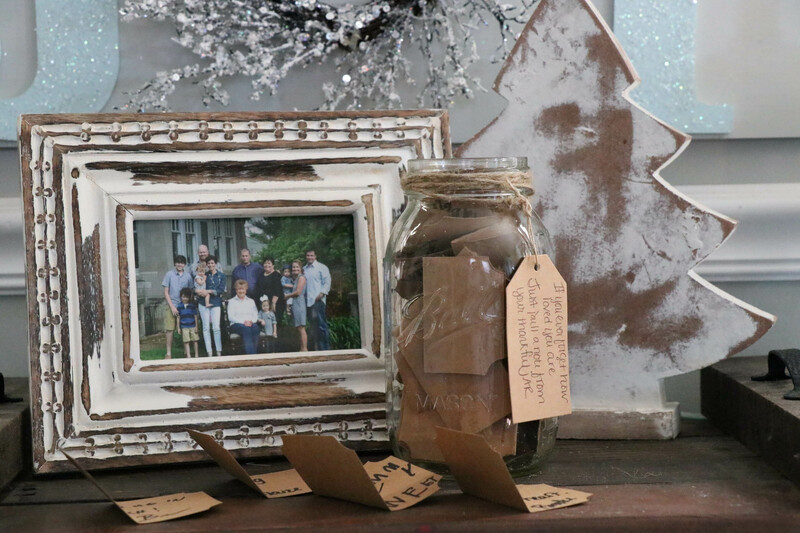 This is a simple little gift idea that would be loved by ANY person on your gift list…and the great thing about this is that it is not just a Christmas gift. This gift can be given for any occasion or not occasion at all. 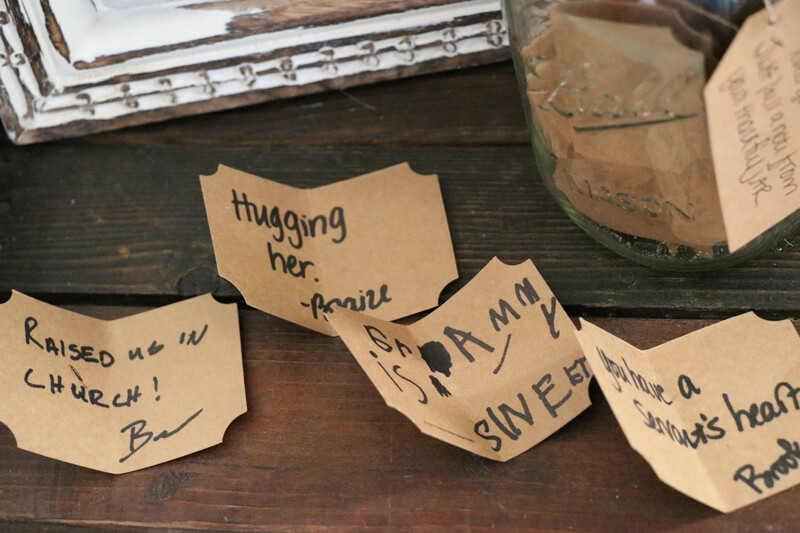 Everyone needs and wants to feel loved and appreciated, and what better way than to have sincere, hand written notes to read anytime you are feeling down? 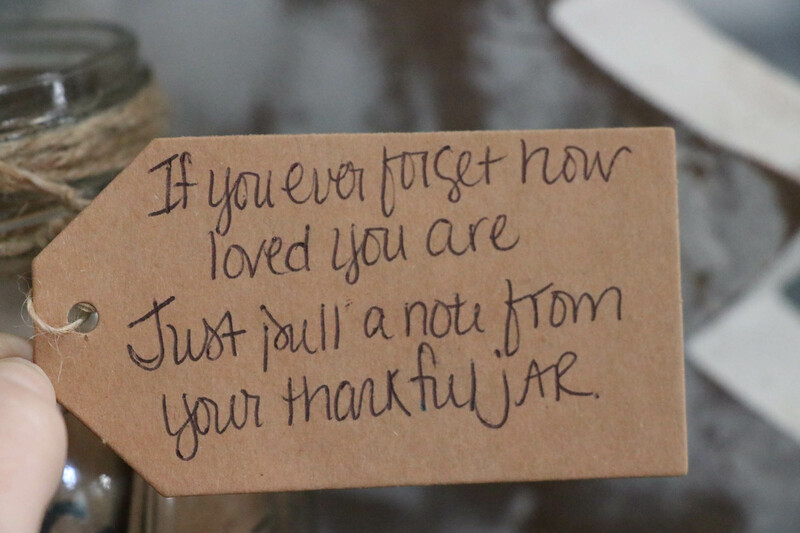 So, who do you have on your list that you will be making a thankful jar for this year? Brooke! 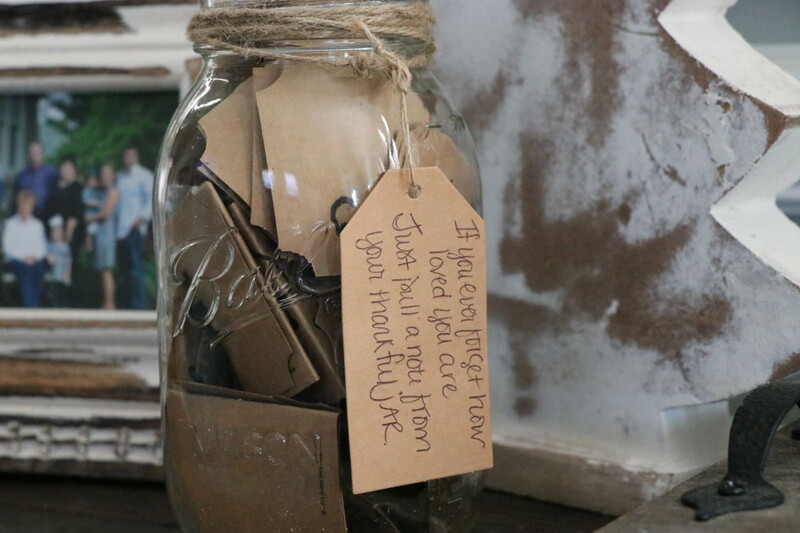 This is precious and such a thoughtful thing to take the time to do for those special people in your life. 🙂 Maybe Brandon will make one for you someday. 😉 Ha! Love you!